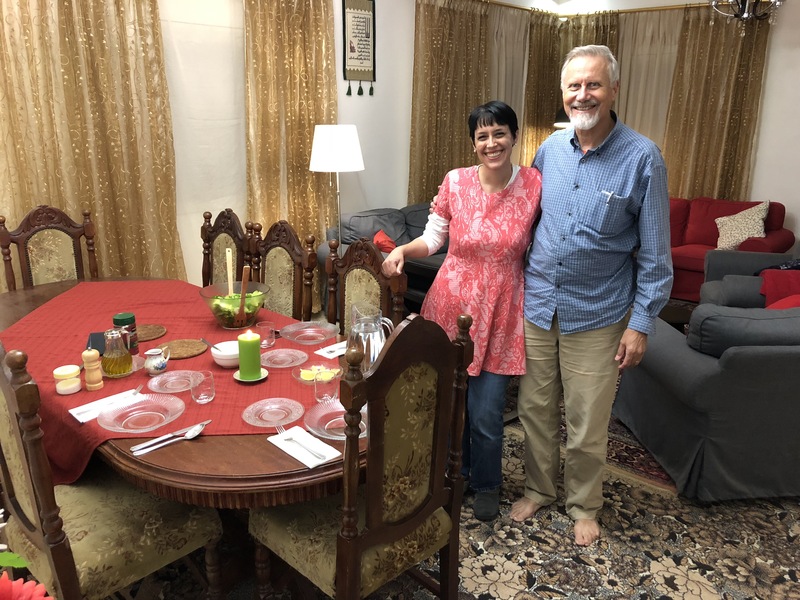 Since our vision trip takes us to the region of the world where we have long supported the faithful mission workers of Salaam International, it seemed obvious that I should try to visit our good friends Jen and David. Jen is an English teacher for Jordanians and Syrians and David is involved in the kind of relief and and support we will experience in Lebanon. Jordan, Lebanon, and Turkey are coping with astonishing loads of Syrian refugees. Worship was wonderful at the vibrant Christian Missionary Alliance church, which welcomes many partner groups from around the world, to assist with their outreach to refugees. We visited a Syrian family (not pictured, for security reasons) that has made it out of the camps with the help of a Jordanian sponsor. But their apartment is in a slum and they have virtually no income. Most locals look down on the refugees, reminding them that they may not take Jordanian jobs. Despite being among the poorest of the poor in the area, we were treated to coffee and dates, lovingly adorned with fresh flowers! It was not easy to hear the story of why they left Syria: Early in the conflict, their baby twin boys fell victim to a gas attack, dying within days. The family fled to Jordan, where they have been in refugee limbo for 7 years now. We departed through the reassuring doors marked with words about "the good shepherd" at the top and the dual symbols of the fish and the cross. It was a full and fulfilling day.